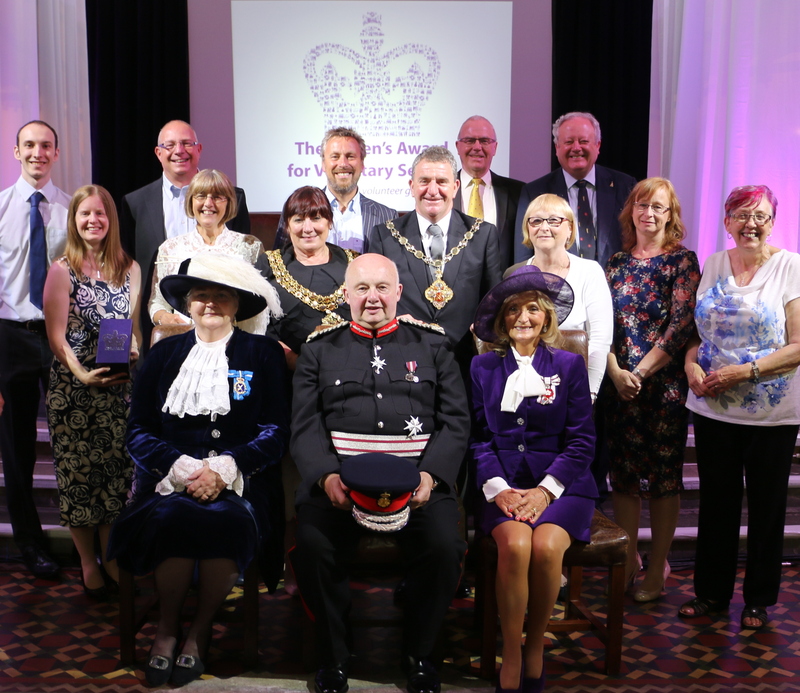 Urban Outreach is celebrating after receiving the Queen’s Award for Voluntary Service. The Award is described as “the MBE for Volunteer Groups” and was presented by Her Majesty’s Lord Lieutenant Warren Smith JP at a ceremony at prestigious Monastery venue in Manchester on 4th July. The Queen’s Award for Voluntary Service is the highest award given to local volunteer groups across the UK to recognise outstanding work in their communities. Lots of volunteers have served the charity for many years and a group of these were invited to attend the awards ceremony, where trustee and founder Christine Bagley and long-serving volunteer Jack Shuttleworth went forward to formally receive the award from Her Majesty’s Lord Lieutenant on behalf of the charity.